Savvy Spending: Summer Reading Rewards Clubs for Kids! Updated list for Summer 2018! 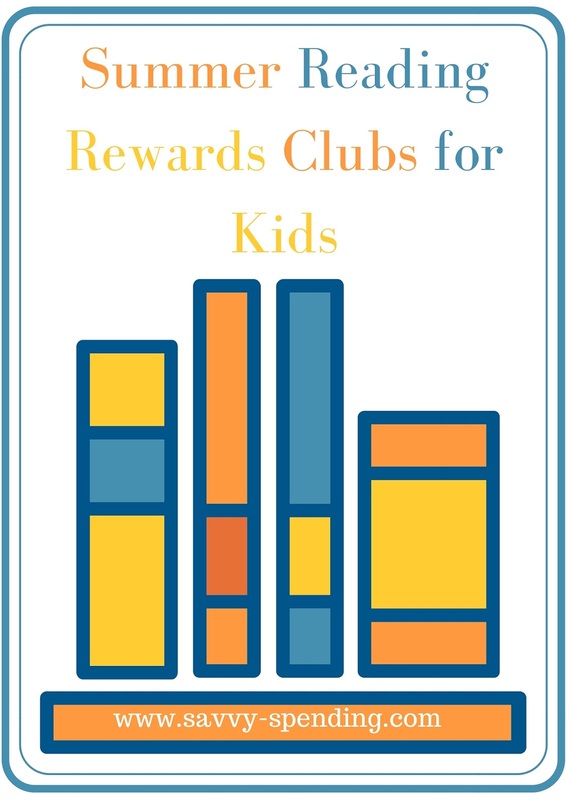 Summer Reading Rewards Clubs for Kids! Updated list for Summer 2018! Here are some more Rewards Clubs to encourage your kids to READ this summer! Kids in grades 1-6 can earn a free book when they read and fill out the journal! Download and print out the calendar, mark off days with a pen or sticker as your child accomplishes his/her goals, and bring in the completed calendars to Chuck E. Cheese’s. Your child will receive 10 free tokens as a reward. Log your minutes and get rewards for reading! If you kids read 10 books this summer, print out the Summer Reading Form and fill it in, and take the form to the nearest TD Bank, they'll receive $10 in a new or existing TD Simple Savings account! Through July 31, if your kids read for 300 minutes during both June and July, they'll get a free $5 gift card per month to Half Price Books as part of their Feed Your Brain promo! If your kids read 6 books this summer and memorize 6 Scripture verses, they can earn a FREE book AND a Free Bible or devotional! Just visit before 8/31 and turn in a completed summer reading journal! Six Flags Read to Succeed – K-6 students who complete six hours of non-school-related reading approved by their parents and teachers are eligible for free admission to their nearest theme park. Showcase Cinemas – Earn free admission to a select children’s film on Bookworm Wednesday’s when they present a book report at a participating Cinema de Lux, Showcase, or Multiplex Cinemas box office. Books-a-Million – Choose 4 books from the reading list, then record them in the reading journal and get a free item from BAM. Right now they are offering a Free pencils and pencil case! H-E-Buddy HEB Grocery Stores Summer Reading Program offers kids who read 10 books by October 1, and mail in this reading log, a free t-shirt by mail! Your local library will also most likely offer a summer reading program! Get involved with your local library and find out what they are offering! If you want to hang onto this list, "PIN" it to Pinterest or share it on Facebook so you can find it later this summer! 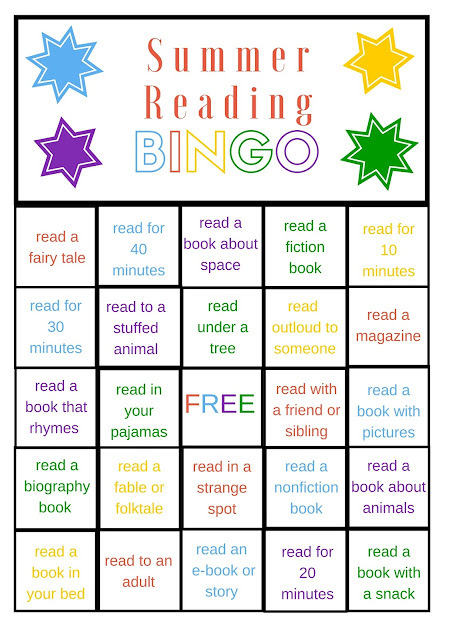 Don't forget to print my FREE Summer Reading BINGO Board to also encourage your kids to read! Go HERE to print!